Fulton Warehouse is looking to develop closer working relationships with our customers, allowing the customers to focus on their core competencies and reduce fixed costs by removing assets from their books. 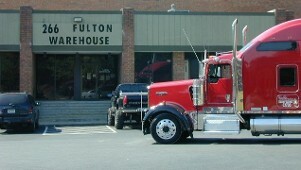 Fulton Warehouse can provide the facilities and labor to provide a wide variety of logistics function such as; purchasing and procurement, packaging, transportation, warehousing, and reverse logistics. The power in the distribution channel is shifting towards the customers, who are demanding timely, customized shipments and products. Fulton Warehouse would welcome the opportunity to discuss your supply chain and offer solutions that can help you business. "We Specialize in Customer Satisfaction"
Located near Interstate Highways I20, I75 and I85, Fulton Warehouse and Distribution is quick and easy to access. Atlanta is strategically located to reach the Eastern and Southeastern USA as well as import/export shipping ports.